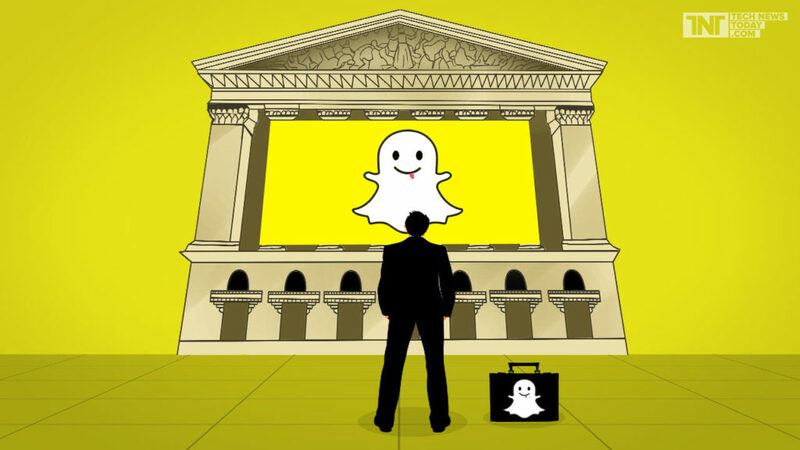 News of Snap’s (fka Snapchat) purported confidential IPO filing hit the press this past week. Although rumors of a pending Snap IPO were swirling for several months, I had been a bit skeptical. After all, why would Snap choose to go public now? The company is still relatively young, having only become a powerful force in the mobile social landscape over the past three years and only generating revenue over the past two years or so. By contrast, Facebook was over five years into revenue before going IPO. Additionally, Snap certainly wouldn’t have trouble raising more private capital at attractive terms and value should it choose to do so. I’ve been asking around among Snap investors, bankers and IPO experts and have laid out the most likely reasons for Snap’s decision to IPO below. Evan Spiegel Wants an IPO. According to some of the folks I’ve chatted with who know him, Spiegel is driven to IPO because he “just wants to.” For many, an IPO is an integral part of the mythology of success as a founder. Although few would question his success, Spiegel has already turned down multi-billion offers from Facebook and possibly others. A big IPO will help vindicate his decision to remain independent and go it alone. Market Timing Conducive for Content, Mobile & AR. Unlike Facebook, Snap won’t need to go through a mobile transition while public. Facebook navigated this transition well, but the early days were challenging. Snap was born mobile and has shown a propensity for rapid mobile product innovation. Spectacles give us a glance at Snap’s AR/ hardware ambitions as well, and arguably, the company is on near equal footing with Facebook as this market gets going. Snap’s product engine will be a powerful force once the company is public, helping the company gain ground on Facebook. Snap also seems to have more control over stories and community content. While Facebook reels from the “fake news” issue, Snap’s content is unique, timely and more likely real (at least so far). Usage of the platform as a way to get immersive and multi-faceted content from events of interest is clearly growing and is unlike anything Facebook can produce. Reserve Meteoric Growth for Public Domain. Facebook deferred its IPO until revenues were nearing $4B annualized and growth was approximately 50%. While Facebook has performed very well as a public stock, its valuation at IPO was upwards of $100B. Similarly, Uber and AirBnB have deferred their IPOs for now, allowing revenue to scale substantially, suggesting valuations may be significant at such time those companies choose to IPO. By contrast, Snap may be motivated to go public while its still growing at triple digit rates, reserving hyper-growth for public shareholders and building in lots of upside for its stock price. Notoriety to Help Mainstream Snap. In the Silicon Valley bubble, everyone knows Snap, but in “Trump’s America” and in most of the rest of the world, Snap is still largely a niche service. A hot IPO and strong after-market performance will engender lots of positive PR and expose vast new groups to Snap. Snap’s IPO should produce a “growth dividend,” helping increase penetration into newer segments with low to no user acquisition costs. Employee Dynamics. At Uber, its well-chronicled that employees who’d like to leave are stuck given the ISO stock option taxation rules and the dramatic appreciation in its stock price. Snap employees would likely have the same problem. While Snap might not care too much about the plight of departing employees, a liquid public market for its stock will make the process much easier for employees in the future. Advantages of Public Versus Private Capital. Snap could easily raise a high priced round of private capital now. That said, Snap may recognize that public capital has advantages. In the current climate, a new private round may come with some investor-friendly terms. In an IPO, Snap can raise common shares, convert all its existing preferred to common and, given the high demand for shares, Spiegel can structure a dual class structure to retain control, similar to Facebook. Global Expansion. Like Facebook, for Snap to achieve its lofty ambitions, it will need to grow globally. With more than 2 billion smart phones outside the US predicted to come online over the next 5-10 years, growth outside the US will be critical. A well executed IPO will give Snap the cash and overseas notoriety it will need to continue international expansion. User and engagement growth at Snap has been tremendous. Snap will surely be one of the biggest IPO events of the decade. We’ll have to wait to see the S-1 to unpack the financial profile of the company but there are lots of reason for optimism. While its possible that Snap’s IPO filing is just a ploy to get Facebook, Google and perhaps the likes of Amazon, Apple, Tencent, Alibaba and Microsoft to counter with an acquisition offer that one can’t refuse, its far more likely in my judgement that Snap is legitimately on its way to an IPO. No business is perfect and Snap is no exception; prevailing wisdom, for example, is that the company lacks sufficient high value inventory to drive revenue into the billions. But, the Snap IPO promises to be an exciting ride.